Following a flurry of activity among banks entering the GPR card market in 2011 and 2012—Chase, U.S. Bank, BB&T and more—the prepaid industry hasn’t seen as much competition from banks issuing their own consumer-facing prepaid cards. That changed today when Minnesota-based TCF National Bank launched a new line of financial products aimed at serving underbanked consumers or those who want more flexibility in managing their money. Dubbed ZEO, the suite of products includes a reloadable prepaid Visa card, a check cashing service, savings account, and money transfer and bill payment via Western Union. 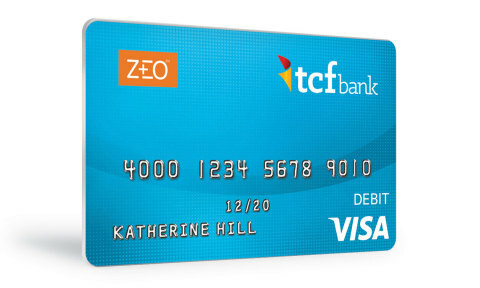 ZEO is available at all 342 TCF branch locations—located mostly in the Midwest—to the bank’s existing accountholders and those who don’t have an account with the bank. By providing an alternative for consumers who can’t obtain a checking account, TCF also might be answering the CFPB’s call for more checking alternatives. In early February, the bureau sent a letter to major U.S. banks calling for them to offer and promote lower-risk accounts that help users avoid overdraft and suggesting prepaid as a good option for such accounts. Further, the ZEO prepaid card, which carries a $4 purchase fee and $4 monthly fee, does not offer overdraft protection—which is expected to be restricted in the CFPB’s upcoming final rule for prepaid accounts.